Adjustable color-depositing daily conditioner for warm blonde color treated hair or natural blonde hair. Blonde Idol Custom-Tone Conditioner Gold for Warm Blondes is rated 2.4 out of 5 by 8. This color depositing conditioner for warm or gold blonde hair has a dual-chamber which releases a calibrated blend of color-depositing and conditioning formulas that can be adjusted as needed over time. The gold tone helps enhance warmth and deeply conditions, strengthens and helps preserve tonality between salon visits. ARE YOU A PROFESSIONAL? 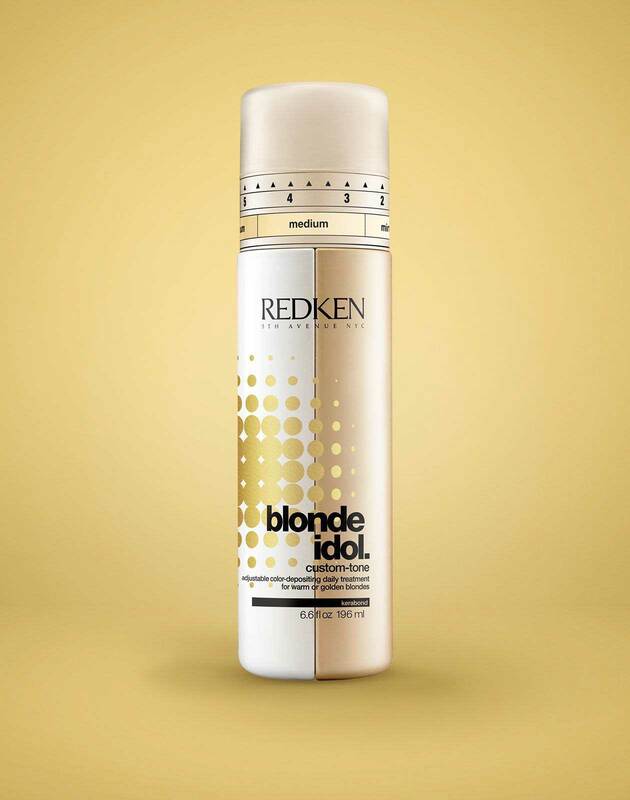 View Blonde Idol Custom-Tone Conditioner Gold on RedkenPro.com for content just for you.